Did you know? – February 3rd is Elmo’s Birthday! Our family has had two very enjoyable family vacations to Sesame Place and Elmo was one of the first characters that my son ever showed interest in as a very young toddler. 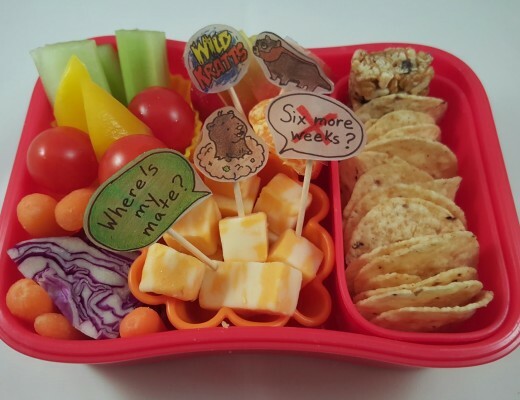 So, when I heard that Elmo’s birthday is this month, I decided to create lunches to celebrate. 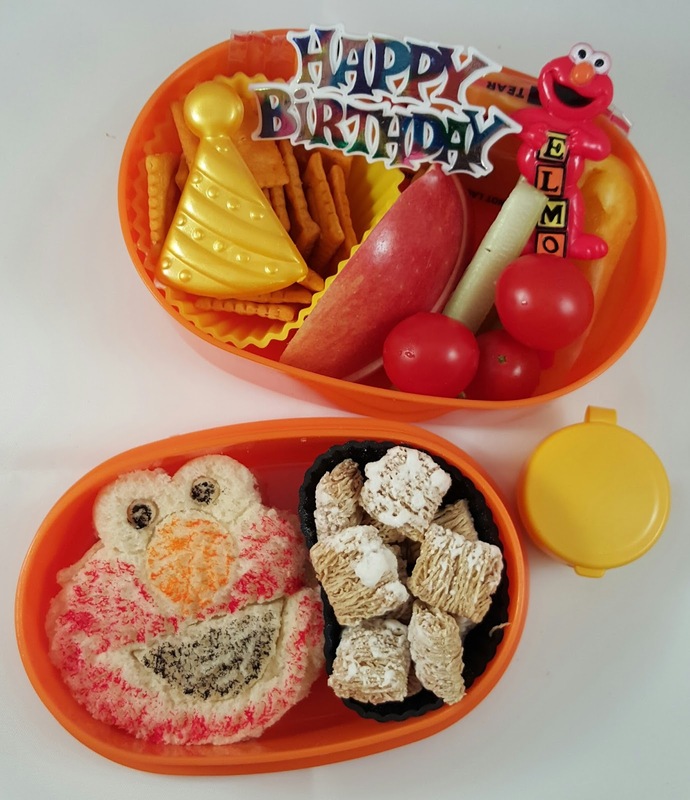 My husband and I have Elmo lunches in our Planetbox Launches. 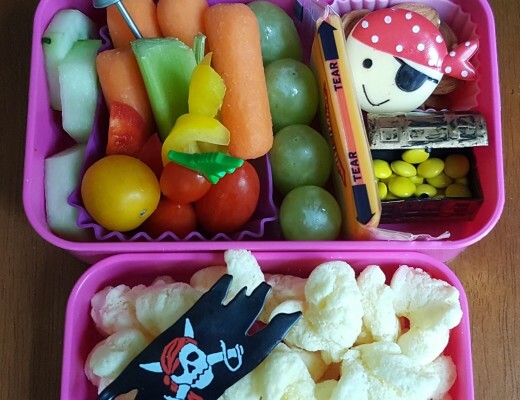 We have apple slices, blackberries, a side salad with balsamic dressing and sunflower seeds, a sandwich shaped like Elmo’s head, and a little container of veggie chips. 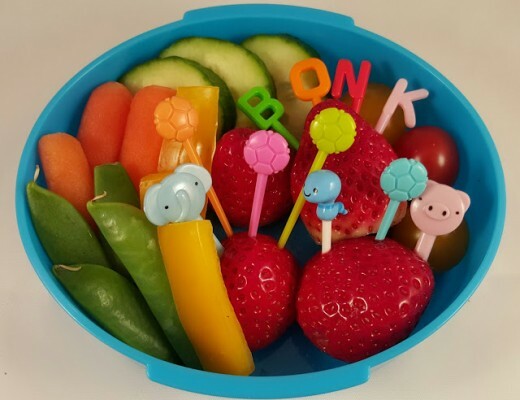 The lunches are accessorized with Elmo picks and a Happy Birthday sign. 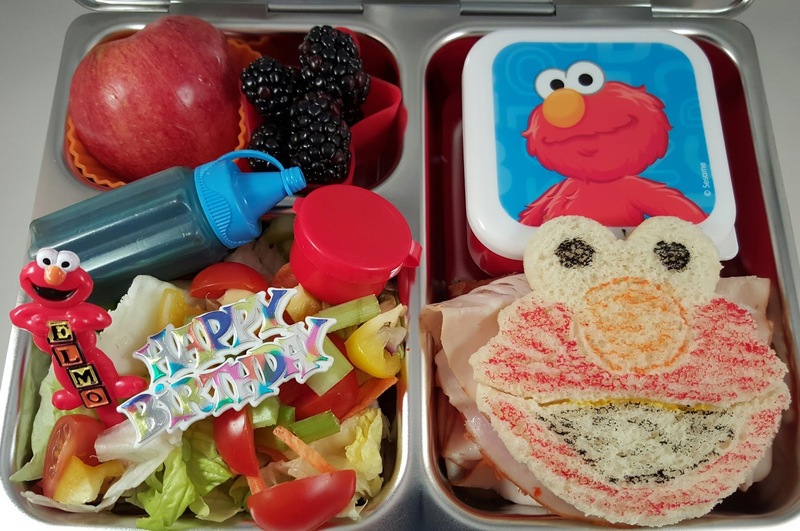 My kids have Elmo themed lunches packed in two tiered boxes. One tier holds crackers, a slice of cheddar cheese, apple slices, celery, yellow pepper slices, and cherry tomatoes all decorated with a birthday hat, Happy Birthday sign, and Elmo pick. The bottom tier holds a peanut butter sandwich and mini wheats. I made the sandwich with an Elmo sandwich press and colored it with food safe markers. The little cup to the side contains sunflower seeds.